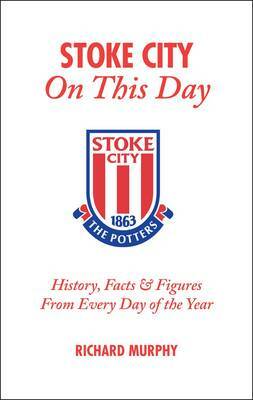 Stoke City On This Day revisits all the most magical and memorable moments from the club's' rollercoaster past, mixing in a maelstrom of quirky anecdotes and legendary characters to produce an irresistibly dippable red-and-white diary - with an entry for every day of the year. From the club's formation in 1863 through to the Premier League era, the Potters faithful have witnessed title challenges in the '40s and '70s, promotion parties and great escapes, breathtaking Cup runs and triumphs - all featured here. Timeless greats such as Stanley Matthews, Jimmy Greenhoff and Gordon Banks, Ricardo Fuller, Freddie Steele and Neil Franklin all loom larger than life. Revisit City's Nou Camp victory against the European Cup Winners' Cup champions, a pseudonymous appearance at the dawn of US league soccer, and the day when Stoke players came first and third in Player of the Year!